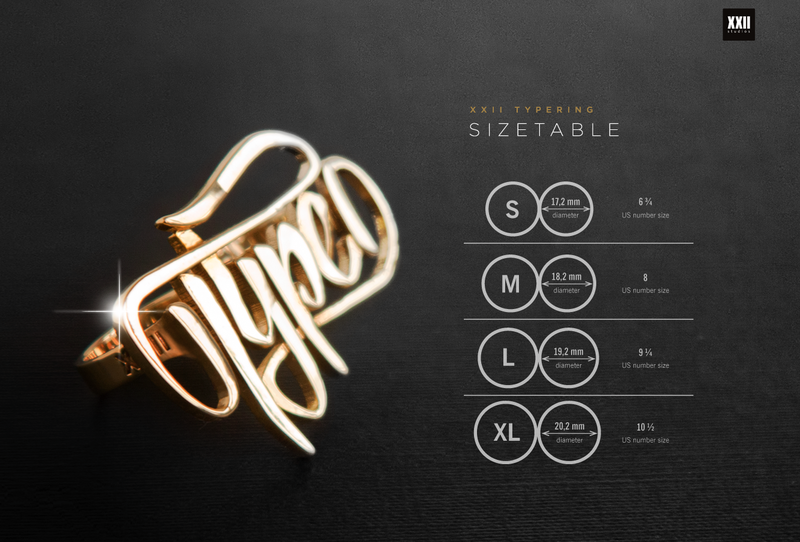 For Typemaniacs, Rockstars & cool Kids. Twofingers ring. Coming in a high quality box. Available in polished brass, polished silver or premium silver. Production and shippingtime may vary between 18 and 30 days. Check ringsizes from this sizetable. And choose your size and material below.